The Penn Hills School District located in Allegheny County, Pennsylvania serves the second largest community in the county. The school district meets the needs of almost 4,000 students ranging from Pre-Kindergarten to Grade 12. 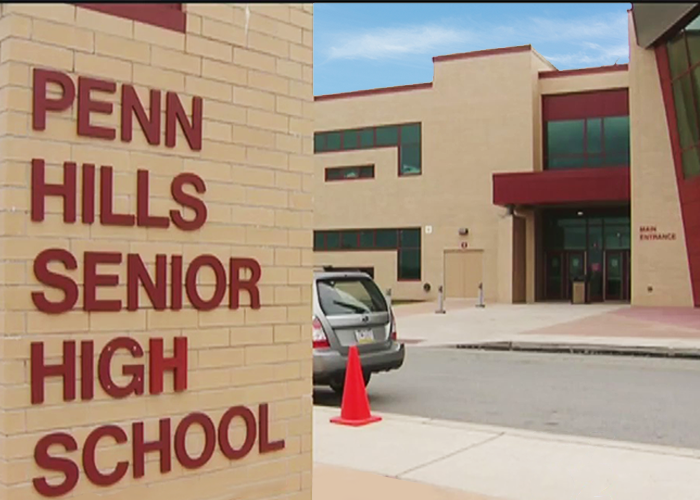 They work closely with parents and the local community and ensure students at Penn Hills attain the highest levels of academic achievement, commit themselves to service and respect, and view learning as a life-long process. The school district is dedicated to providing both students and teachers the best technology solutions in order to meet their learning goals. Roger Myers has been Penn Hill’s Technology Director since 2008 and understands the relationship between technology use and student achievement, particularly in terms of access and skills. In 2014, the school district purchased 125 laptops from CDI. While the laptops had met performance standards, after several months of use Myer’s and his team began seeing an issue with the screen hinges on the devices. The hinge issue turned out to be a recurring problem as screens started to come loose and even fall off at times. Myer’s reported the problem to the manufacturer, requesting repairs or replacement under the manufacturer warranty. Even though the manufacturer had discontinued the model under question, when Myer’s attempted to seek their support for the recurring hinge issue he found them to be unhelpful. They would not fix or replace the laptops, claiming rough use had caused the problem. At the same time as the manufacturer’s warranty expired, he turned to CDI for a solution. As Technology Director, minimizing the cost of ownership while getting high quality products and customer service underlies Myers’ education technology choices for the Penn Hills School District. Over the years, he has experienced varying levels of product quality and customer service from vendors. One of the reasons that Myer’s had chosen CDI is that he had seen examples of CDI’s excellent customer service at a TechTalk Live event. Myer’s understood that the hinge problem was not one CDI was responsible for, and service technicians at CDI repaired the problems as fast as they could. However, the hinge replacement parts had to be sourced which would sometimes lead to long wait times. Since each repair order showed the exact same hinge related issue, the technicians at CDI concluded the problem was indeed a manufacturer defect. CDI’s support and sales teams worked closely with Myers to create a permanent solution to the ongoing hinge problem with the laptops. CDI was covering the last two years of the product warranty and according to Myers, “after a few conference calls CDI offered to replace all 125 units at their own cost!” Given his experiences with other vendors, this was a surprising but very welcome solution to the problem. For him, this level of customer service was unprecedented.